How do I get an Alberta driver’s license? If you want to get around the city with a vehicle, you’ll need to get a driver’s license. The process is simple but certain rules apply. There are many good reasons to get a driver’s license. For starters, it gives you the flexibility to use your own transportation. Many people choose to drive so it takes less time to get to work or see their family and friends. Having a vehicle can help prevent a sense of isolation, especially in a city as large as Calgary. It is also helpful to have a driver’s license as it is a form of government-issued picture ID. A lot of businesses and services require picture ID. This means that you can leave your passport or resident card at home more often. Even better, you won’t have to worry about losing these very important items. 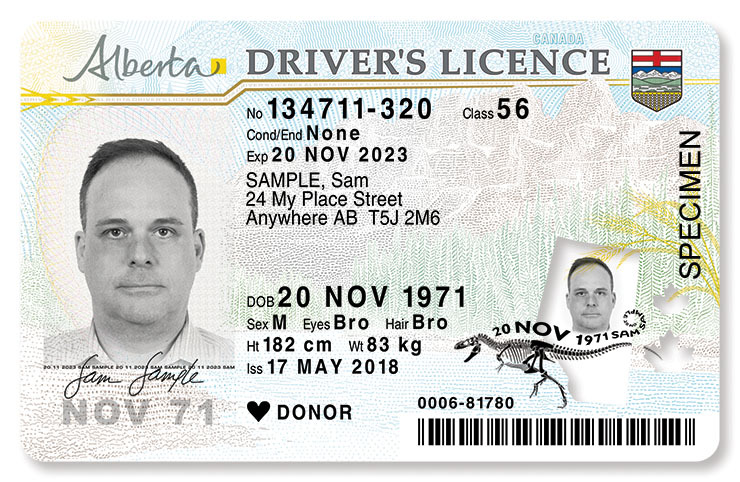 If you currently hold a license from your home country, you may be able to exchange it for an Alberta driver’s license (for a fee). More information about exchanging your license can be found on the Alberta Government’s website. The link also lists which countries qualify. You must exchange your license within 90 days of arriving in Alberta. Immigrants from countries that are not listed have to go through the standard application process. Visitors can drive in Canada for up to 1 year, provided they have their home country license and an international driver’s permit. Permanent residents that have a valid driver’s license from their home can use them for a brief period of time with associated documentation. Consult the AMA to find out more. To keep driving, they must obtain a valid Alberta license. Refugee newcomers typically arrive with without documentation from their home countries. The result of this displacement is that they are, for the most part, starting their lives over. As such, transportation is one important factor in refugee empowerment and helping them gain the mobility to expand their opportunities. If you are not eligible for license exchange, you may still be able to bypass the Graduated Driver’s License (GDL) upgrade. Click here for eligibility and a list of documents needed for the Graduated Driver’s Licensing Exemption Program. If you have any questions, find out where the closest Registry is located and ask them for help. A registry is a business that provides the public with driver’s licensing on behalf of the government. A helpful resource for drivers with no previous driving experience is the Driver’s Guide to Operation, Safety, and Licensing. This guide provides new drivers with information that will be on the written driver’s test.